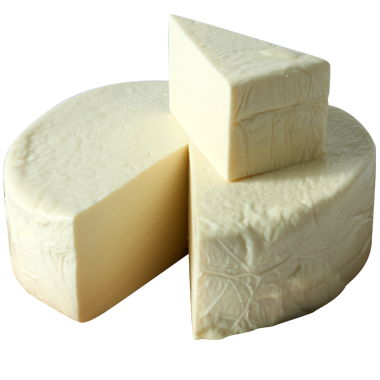 In Mexico, queso fresco, which literally translates to “fresh cheese,” is often wrapped in leaves or corn husks. You’ll find Wisconsin’s fresh-as-a-new-day queso fresco most commonly on American grocery store shelves wrapped in plastic wheels. Our favorite thing about this popular Mexican-style cheese is that it’s so fresh and moist, and yet it always pulls on our pants’ legs to be cooked in a variety of amazing dishes. With heat, queso fresco softens into creamy goodness, but it never melts or gets stringy. If you love ricotta or other farmers cheese, we think you’ll soon be smitten with this easy to crumble, super tasty, fresh wonder. Queso fresco is a fresh, young cheese, so the sooner you enjoy it the better. Start cooking with it as soon as you get home from the store -- your tummy will thank you for your proactivity! Mexican lager with a lime, pilsner, and pale ales all taste great with amazingly versatile queso fresco. If you want wine, we recommend whites or rosés and you can’t go wrong with tequila. For our margaritas, we’ll take a little salt on the rim. Please and thank you! So many Mexican dishes are enhanced with creamy, mild queso fresco. We love to use it as a filling for chile relleños and quesadillas or as a topper for enchiladas, tamales and black bean and tortilla soup. If you want to enjoy it fresh and not cooked, crumble and toss it into greens or a fruit salad.